Of course they should have parking provision for residential towers, but not with a stand alone building devoted to car parking. I thought it was for park and ride commuters like the B-line on the Northern Beaches. Swift wrote: Of course they should have parking provision for residential towers, but not with a stand alone building devoted to car parking. I thought it was for park and ride commuters like the B-line on the Northern Beaches. The reason why residential towers have limited parking because its cost money to build parking space, and even if someone have a car or 2 cars, they will still use that parking space for storage. 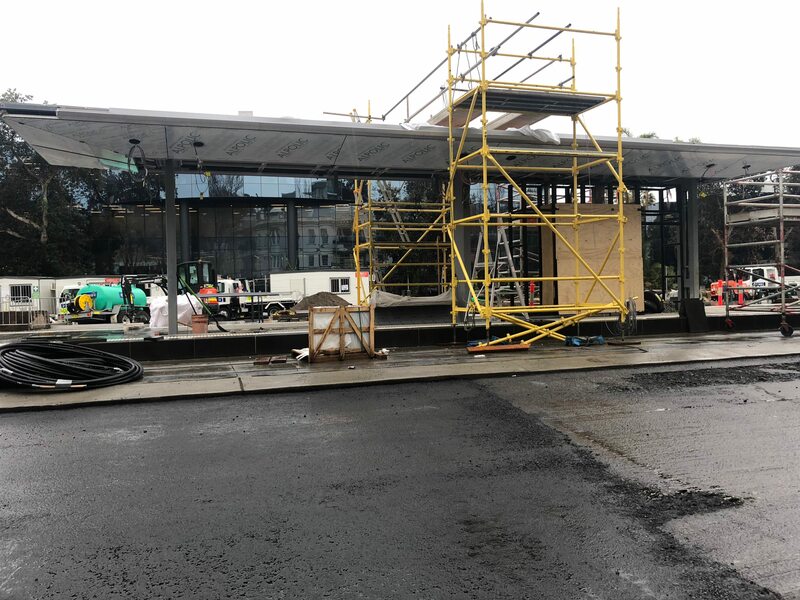 Reported on a FB page that the first CAF tram is due to arrive on Friday. Three trams for Canberra are being offloaded at Port Kembla on the way through. boronia wrote: Reported on a FB page that the first CAF tram is due to arrive on Friday. I also got that from a source as well. It could be the longest journey the Newcastle light rail vehicles will ever take – Spain to Australia via the Panama Canal. 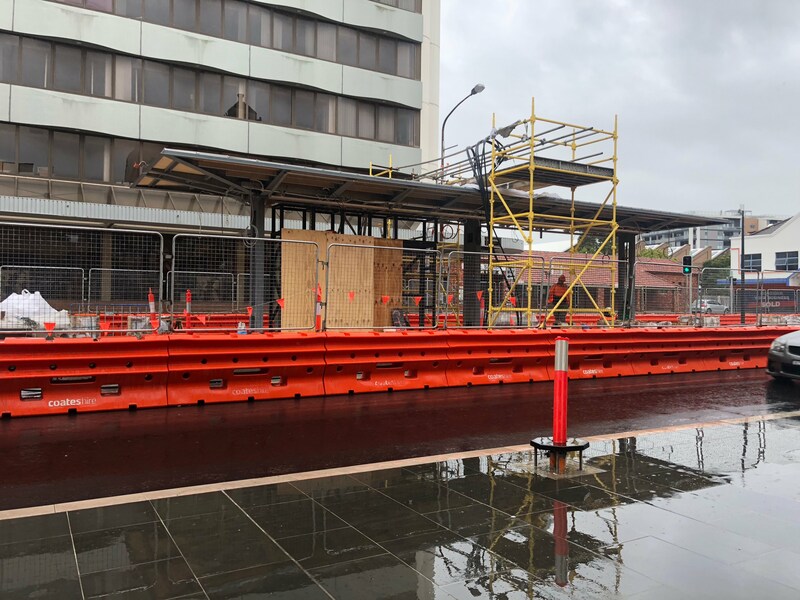 The city’s first light rail vehicle will arrive in the Port of Newcastle aboard the Norwegian-flagged cargo ship Hoegh Jeddah on Saturday afternoon. The ‘Urbos 100’ model tram was rolled aboard the specialist ship at Spain’s Port of Santander in July. The intercontinental journey across the North Atlantic and South Pacific Oceans has taken the tram – aboard the ship – more than 12000 nautical miles. Stops were made in Auckland, Melbourne and Port Kembla, where the ship left on Friday afternoon. It will dock at the West Basin 4 berth at Carrington. The Newcastle Herald understands the ship will be unloaded on Saturday and the first tram transported to the Wickham stabling yard early next week. The Newcastle trams are produced by CAF as an option under the Sydney Inner West light rail contract. The ‘Urbos 100’ model can carry a maximum capacity of 270 persons. It is 33m long and weighs 45 tonnes when empty. The trams, which feature a low floor design to enhance accessibility, will be the first in NSW with surfboard racks. Each tram carries an on-board energy source which is charged by an overhead bar at each stop. A regenerative braking system will also allow for energy to be transferred back to the tram’s onboard storage system. The trams are expected to be tested on the city’s wire-free light rail system from next month. Work on the line is nearing completion. Operation of the Newcastle light rail system will then begin in early 2019. Fares will start at $2.20 for adults, $1.10 for children and $1.10 for concession passengers using Opal cards. Cash tickets will be slightly more expensive, while passengers changing onto light rail from a bus or train will be charged another 20 cents to use the light rail. It is expected the Newcastle light rail will run every 7.5 minutes in peak time. They should be tossed of a cliff along with the 14.5s the moment the plates come off. Throw some Hino RGs as well. Anyone know what their doing with the withdrawn buses? will they go onto other companies / 2nd hand owners or will they finally meet (god forbid) the scrapper? Depending on their condition, they will probably be offered for sale although there doesn't seem to be much market for 2h buses these days. As they probably all belong to TfNSW now, the operator mightn't get much say in the disposal. Most STA disposals these days seem to be to scrap. The first tram arriving in Newcastle coincides with the launch of a safety campaign to promote staying aware in the city centre with trams soon to start testing, and services commencing early next year. 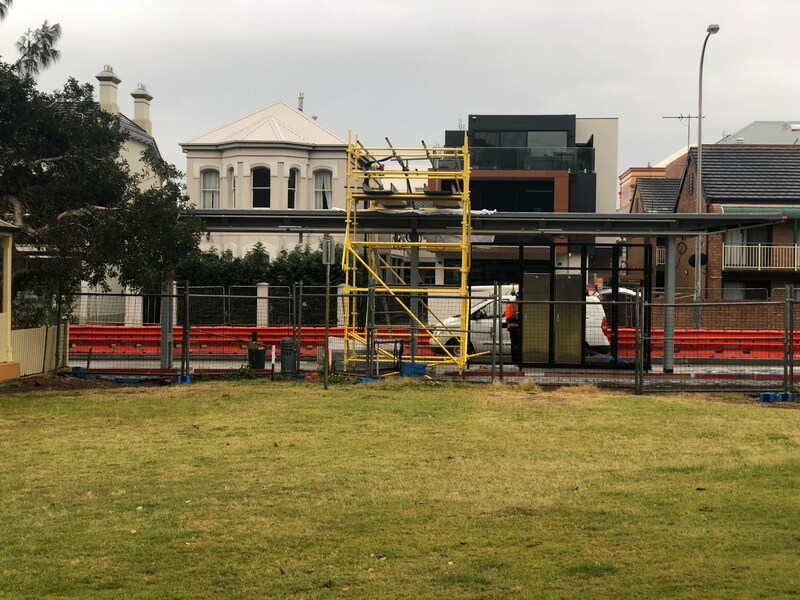 Revitalising Newcastle Program Director Michael Cassel said the arrival of the first tram was a huge milestone and the perfect time to start talking about safety. 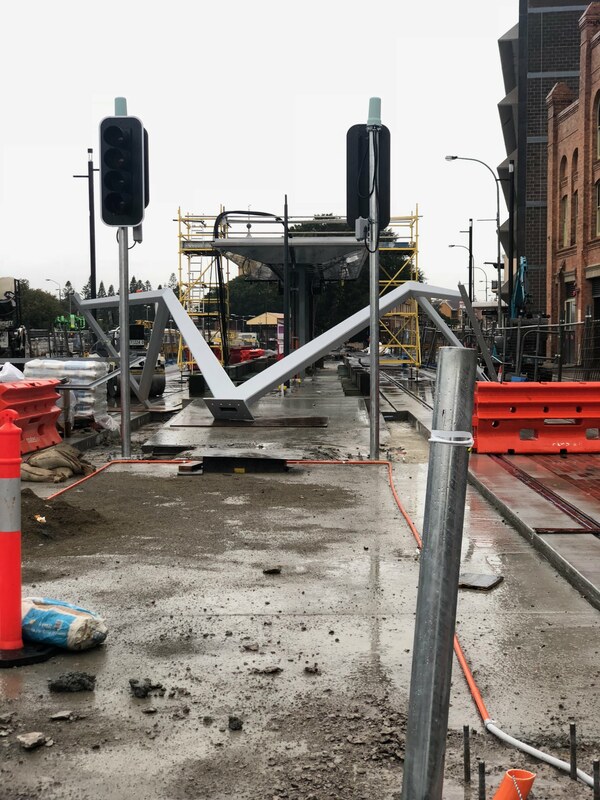 “The arrival of our first tram is a big moment, and with testing starting from next month it’s time to raise awareness of how to be safe around light rail in Newcastle. 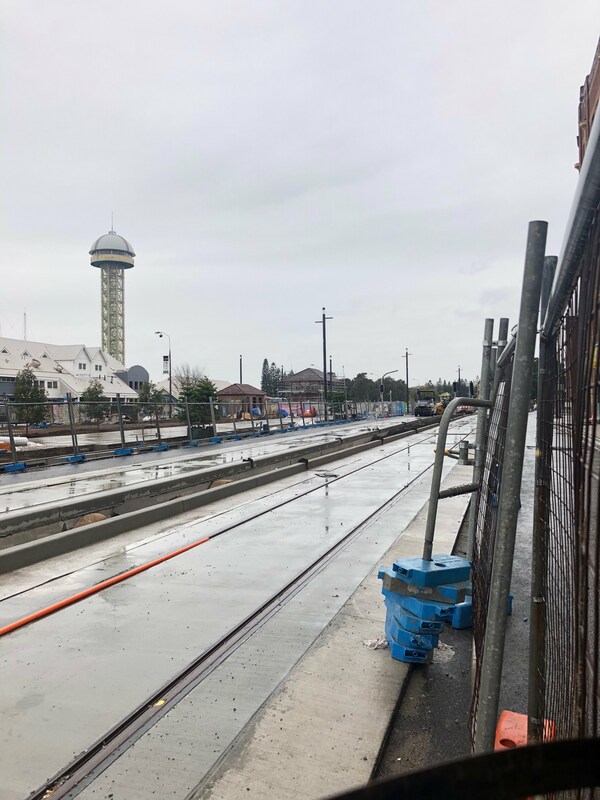 “While testing will start gradually, with trams travelling slowly along the track at night, later this year trams will be travelling frequently through the city simulating timetabled running. 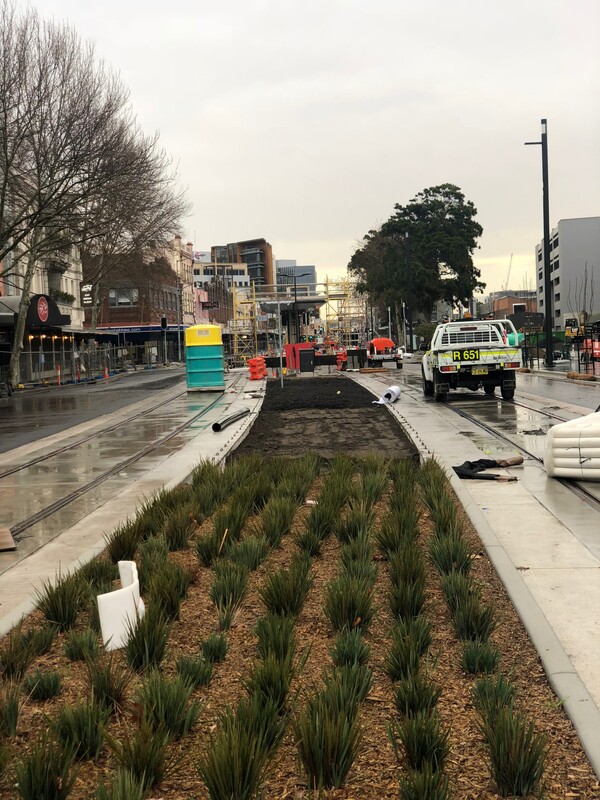 “Light rail is by design quiet and less obtrusive than other forms of public transport, and with our trams weighing 45 tonnes and moving at 40 kilometres an hour, it’s especially important to be aware in the city centre. “The most important thing we’ll be encouraging is that people follow signs and signals in the city centre. 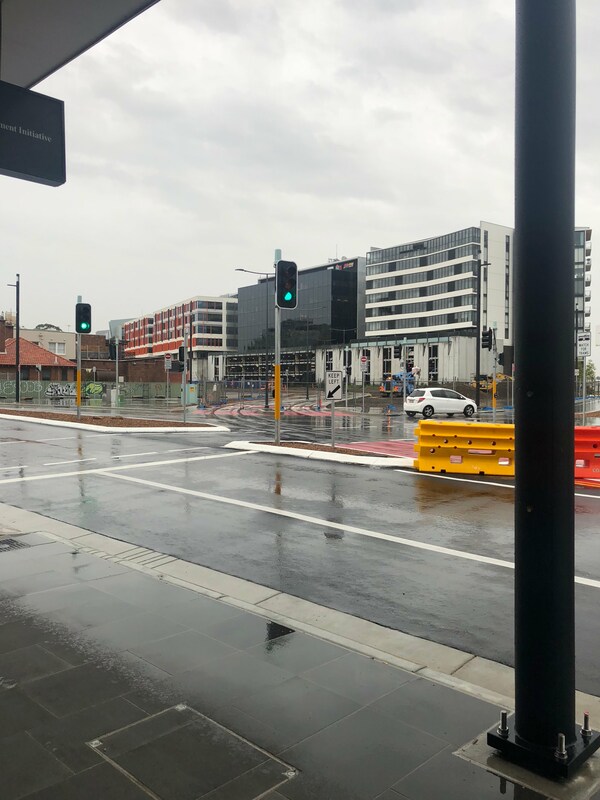 We’ve added six new pedestrian crossings along the light rail route which will operate in tandem with trams to ensure people can cross the road safely,” he said. Mr Cassel said the upcoming testing and commissioning program was essential to ensure the system functions as it should from the first day of services. “Each tram needs to undergo rigorous testing to ensure they function exactly as they should, and provide the safe, efficient and comfortable ride they’re built for. Remember walking, driving or cycling in designated tramways is not permitted. 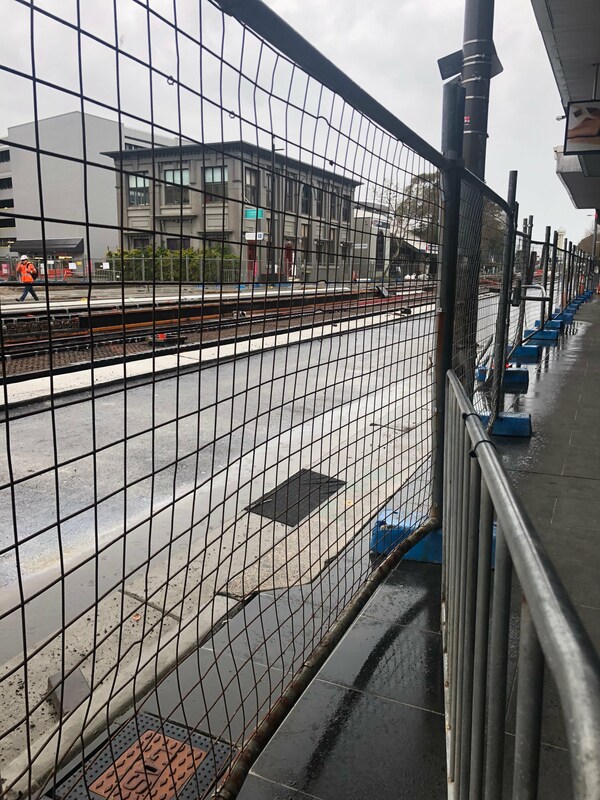 The NSW Government has today confirmed that major construction of light rail track will be completed on time by the end of September, allowing traffic to return to Hunter and Scott Streets and for testing to start next month. 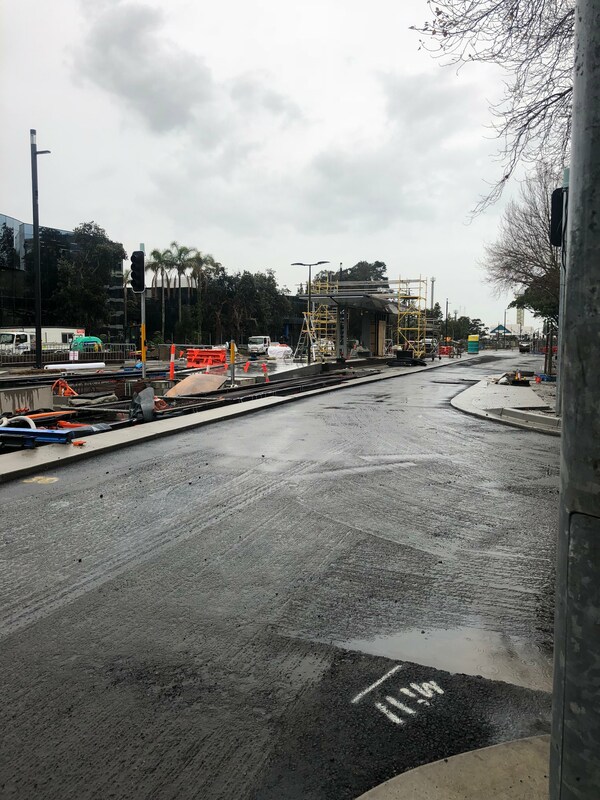 The Minister for Transport and Infrastructure Andrew Constance made the announcement today while undertaking an inspection of the first of six light rail vehicles to arrive in Newcastle, stating that the local team has set the example for the State. “Newcastle has shown what’s possible when the Government, contractors and stakeholders like Council work together to deliver a project. 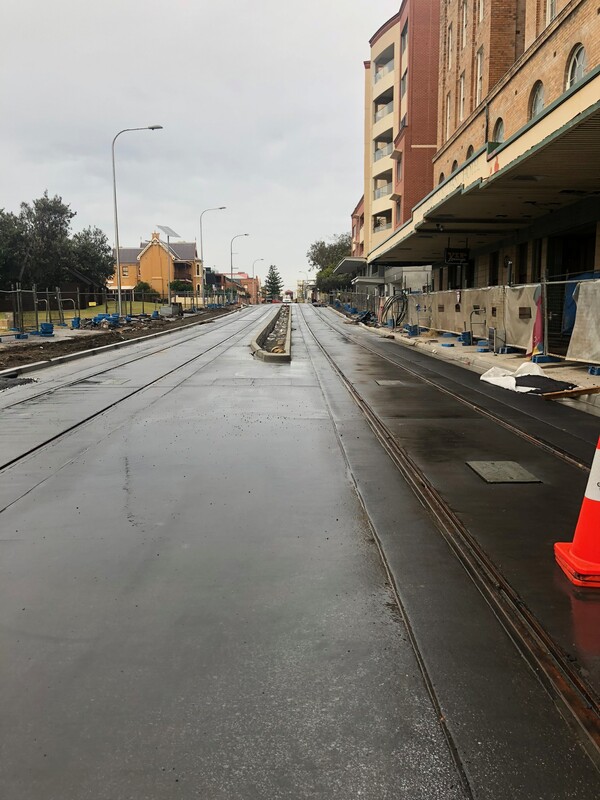 “It was just 12 months ago when construction started on a 350 metre section of Newcastle’s light rail at Civic, and here we are today with the track all but finished and the first of the fleet here for testing. “A decade ago the people of Newcastle sent the NSW Government a blunt message. Fix our city. 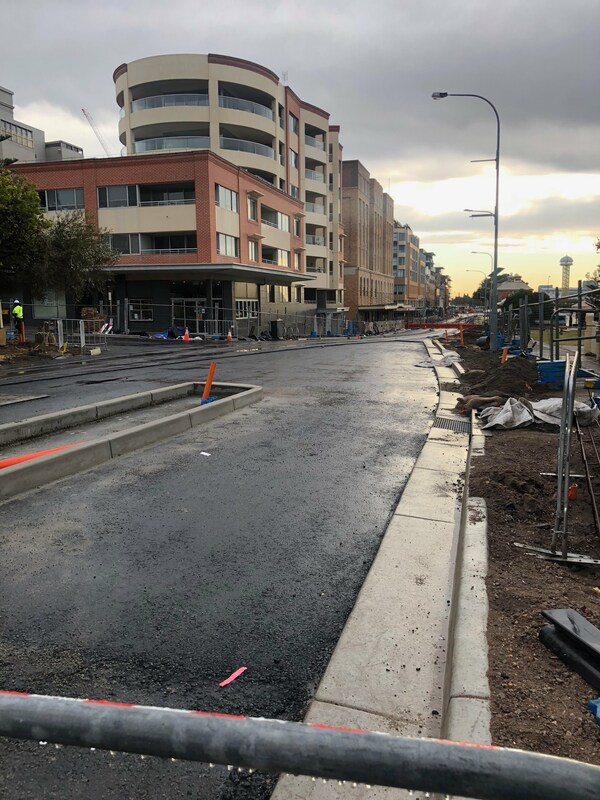 It’s a proud moment today to see Hunter Street looking better than ever, record private investment in the city centre, and the first of a sleek, modern transport fleet soon which will soon be delivering people straight to Newcastle Beach. 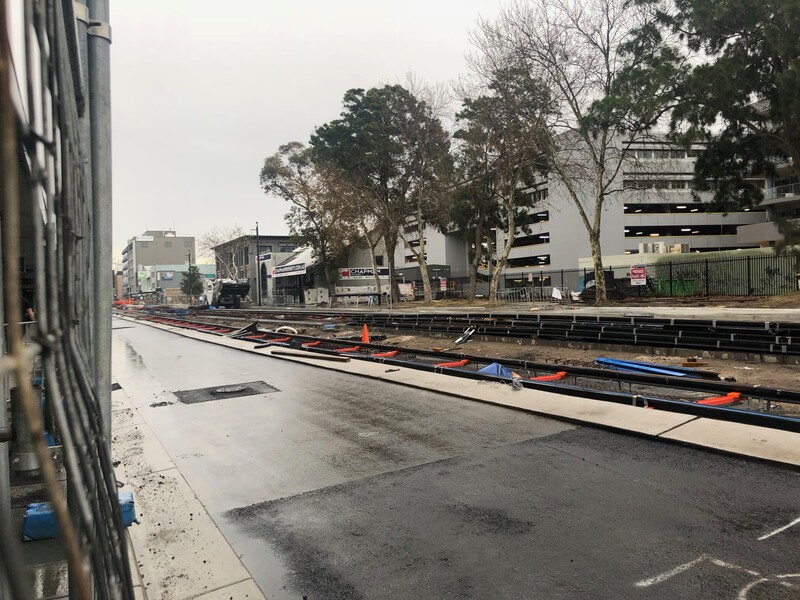 “As the fences come down to open the remainder of the light rail route, Novocastrians will see just how much their city has changed, with upgraded roads, widened footpaths, and new public spaces at the restored Newcastle Station and Market Street Lawn. Parliamentary Secretary for the Hunter Scot MacDonald said today was the first day towards the future of Newcastle. 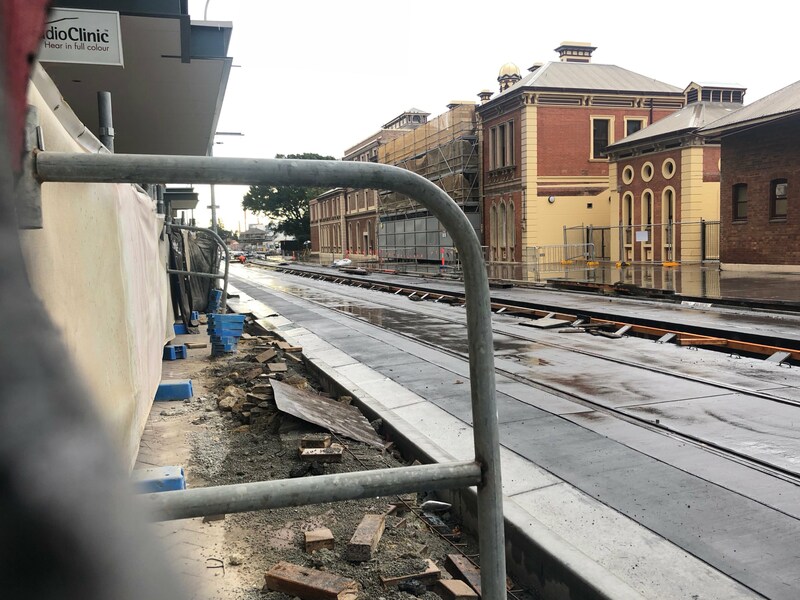 “We’ve connected Newcastle to its harbour after the heavy rail corridor acted like the Berlin Wall for more than 100 years. Today workers, tourists and families can freely move between the waterfront and the city centre to create more foot traffic and more activity for businesses,” Mr MacDonald said. 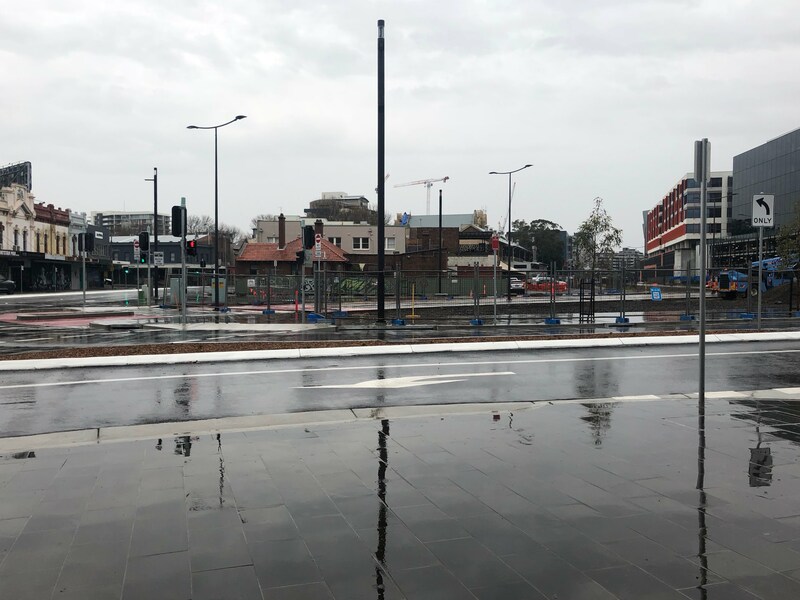 “Newcastle’s light rail is Australia’s first and only completely wire-free system, and along with the city scape upgrades and landscaping Newcastle is getting the attractive urban space it needs to thrive. 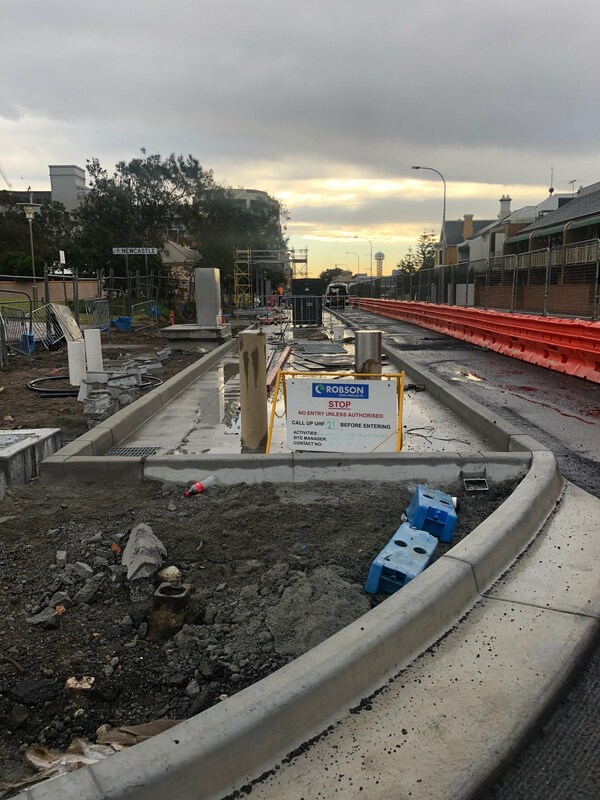 More than 3,000 individuals have worked on Newcastle Light rail, and Novocastrians should be proud of how the local team has delivered this important project. 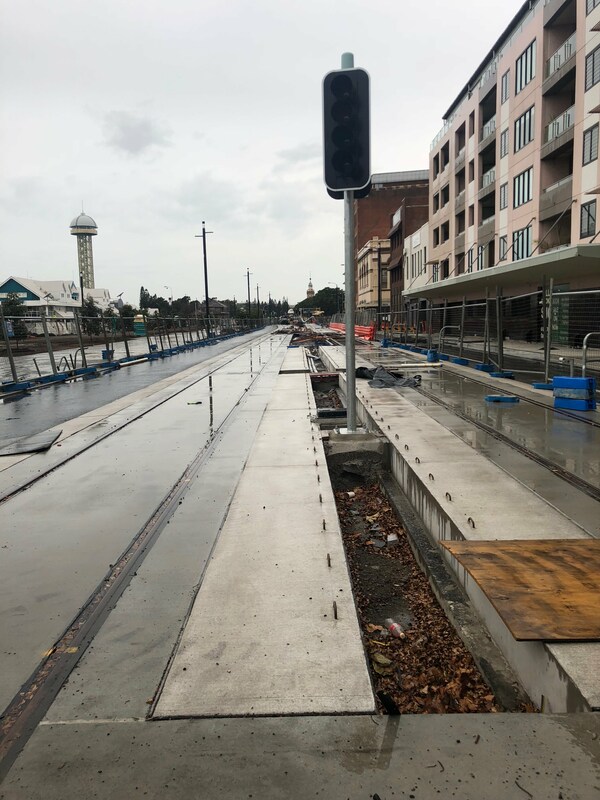 “The NSW Government is delivering on its promise to improve transport around Newcastle, and from early next year light rail will work in tandem with upgraded CBD intersections, and the our public transport timetables which offer 1,200 additional services and 15 minute frequency on key routes,” Mr Constance said. The buses that have seatbeats, also are licenced to carry standing passengers. Doesn't that really defeat the purpose of seatbelts?? They are for the purpose of school kids to appease parents and safety lobby groups. Just after halfway in this video. So will be the only major project to open prior to election with Sydney Metro NW, CSE LR and NorthConnex all later in 2019. Let the new buyers find out. They would make a nice luxury camper for one or a couple. I personally would prefer CDC's MAN midis. Nicer sound, better body. Heh I'd be tempted to buy one for preservation & historical purposes If I had the space for it and price was "reasonable". Hope the MAN's find good homes or use as private / service buses with other Operators. Let's just hope they don't use these for Parts then chuck the rest of what remains to the scrap-yard. Don't tell me I saw a coach like bus operated by Keolis Downer? Now back to what I was going to say, um ur type. But now I've forgotten! Does anyone know when Newcastle's next 5 trams are arriving?